Originally Posted 2017-08-01 00:13 GMT on AINA, minor modifications including inserting hyperlinks by The Rabbit Hole. 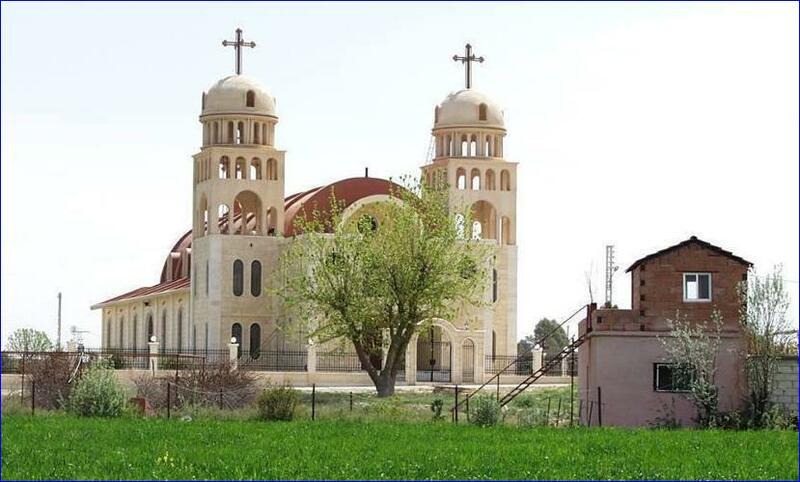 The Assyrian Virgin Mary Church in Tel Nasri, Syria, was destroyed by ISIS on April 5, 2015. 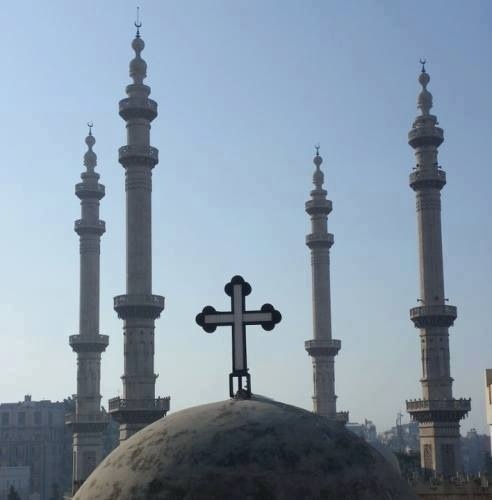 There is little awareness in the West of the presence of important Christian communities in the Arab world. If today there is a bit more awareness, this is due to the very embattled position of Christian minorities in Iraq, Syria and, to a lesser degree, Egypt. The horrific violence of the present has given added momentum the notion that Muslims harbor an inherent hostility to Christians, and that what we witness today is simply the latest in a series of acts of hostility and violence of Muslims against Christians that goes back centuries. This story, of course, does not square with the fact that Christianity has persisted in the region of its birth, and that Christians have thrived and co-existed with Muslims here since the rise of Islam in the 7th century. Erik Hillestad of the Norwegian record label KKV, in an attempt to highlight the diversity of religious faiths in the Arab world, traveled to Lebanon and made a series of recordings of Christian and Muslim vocalists, including Syrian and Iraqi refugees now living in Lebanon, as well as Lebanese nationals. The singers represent a broad range of religious traditions, all with deep roots in this region, known in Arabic as Bilad al-Sham (in English, the Levant, encompassing Palestine, Syria, Lebanon, Iraq, and Jordan). On this recording, we hear a sampling of just a few of the many Christian churches in the region: Armenian Apostolic (Orthodox), Maronite, Syriac Orthodox, Greek Orthodox, Chaldean Catholic, and the Assyrian Church of the East. We also hear from Muslim vocalists representing the two main branches of Islam; Sunni, and Shi’ite. As well as a range of languages as well: Arabic, Armenian, varieties of Eastern Aramaic (Syriac, Assyrian, Chaldean), and Greek. The artists recorded range from the professional to the amateur. The Lebanese Shia chanter or munshid, Mahdi Kallas, has released a number of recordings in Lebanon. (You can find some on YouTube) He usually records with full instrumental backing, but here he sings to the very restrained accompaniment of a synthesized drone. The absence of accompaniment focuses our attention on the beauty of his voice and his facility for vocal improvisation. Mansour Zayter, a Sunni munshid from Syria, made his reputation in Damascus as a singer in the Sufi tradition, leading a group called Firqat al-Ikhlas al-Shamiya (Spirit of Syria Band), and he too has released a number of recordings. Here Zayter does a slow, mournful Sufi chant, backed by oud, qanun (box zither) and nay (end-blown flute). Church choirs, some of them quite professional, are present as well. The Mt. Lebanon Orthodox Byzantine Choir, led Joseph Yazbeck and based at the School of Ecclesiastic Byzantine Music, has put out a number of recordings of Byzantine music. Here the choir presents two recordings from the liturgy of the Greek Orthodox Church, sung in Greek. The Choir of the Antonine School of Music is affiliated to the Maronite church, whose history dates to the fourth century CE. The Antonine Fathers School of Music is based at Lebanon’s Antonine University and is devoted to professional and theoretical music training in both Eastern and Western music. The choir’s two recordings here feature a choir, singing selections from the Maronite liturgy, in unison, in Arabic and Syriac (the Maronite liturgical language, a dialect of Aramaic), to organ accompaniment, in a manner that will not sound unfamiliar to Western ears. What will sound remarkable on the other hand are the vocals of the soloist, Nohra Azar, who improvises melismatically, in a style similar to the improvisations of the Muslim chanters like Zayter and Kallas who appear on the album. At the more amateur, less-polished, end of the spectrum are refugee outfits. A group simply identified as “Syrian refugee children in the Assyrian tradition” are young Assyrians displaced by the Islamic State’s bloody takeover of northeastern Syria. They and their families continue to speak the dialect of Aramaic known as Assyrian Neo-Aramaic, and to use it in their liturgical traditions that date back to the first century. These children gather at an established Assyrian church in Beirut each week to learn and practice old songs from their tradition. Here they sing “Oshanna,” which Western Christians will recognize as “Hossana,” from the Aramaic (and Hebrew) spoken by Jesus. The St. Joseph Chaldean Choir are youth refugees from Iraq, who belong to a congregation that has no permanent worship space that depends on the largesse of established churches to hold their services. They are speakers of Chaldean Neo-Aramaic, which is closely related to Assyrian Neo-Aramaic. The Chaldean choir offers here a traditional hymn to Jesus put in a modernized setting, accompanied by violin and synthesized organ. These are just a few of the vital recordings on this invaluable album, which manages to present a fine sample of the varied, rich, evolving, and deeply-embedded traditions of religious music in Bilad al-Sham. The recording is a testament to the region’s multi-confessional nature, the complex interconnections between musical practices of Christian and Muslim singers, the persistence of liturgical traditions that go back centuries, and the willingness of current practitioners to develop, innovate and adopt new instruments and styles. The region may be beset by horrible conflict, but the practitioners of religious music, Christian, and Muslim continue to reside together, at least in Lebanon, and to labor mightily, against all odds, to keep their invaluable traditions alive.